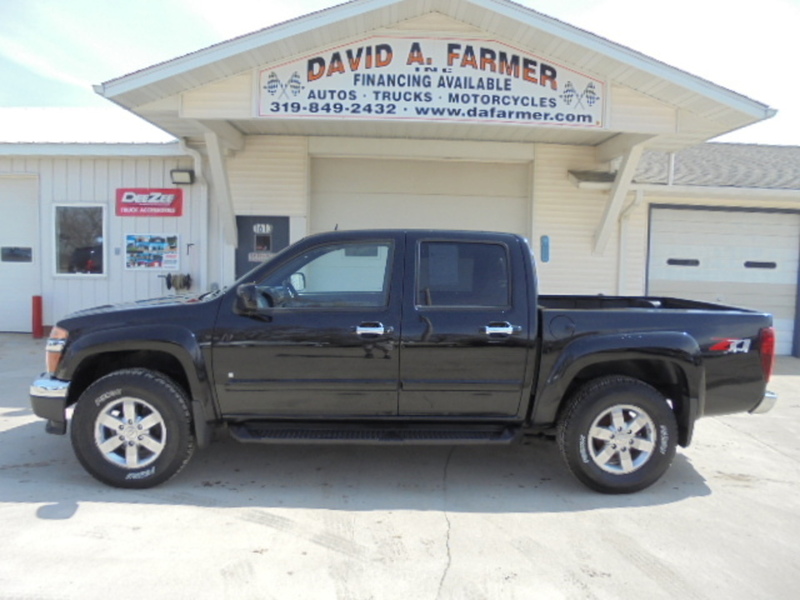 Sharp 2 Owners/ No Accidents (Per Autocheck) 2009 Chevy Colorado 2LT Crew Cab 4X4 Z71 with 235,453 Miles. Like New Tires and Loaded with Heated Leather Seats, Dual Power Seats,Power Windows, Power Door Locks, Cruise Control and Much More. All vehicles Inspected by 2 Independent Mechanics with a combined 80 Years Experience. Call Today to Schedule a Test Drive of Your Next Vehicle at Center Point,Iowa's Premiere used Vehicle Dealership(Family Owned and Operated in Same Location for Over 33 Years). ***Family Owned and Operated in Same Location for Over 33 Years!!! David A. Farmer, Inc. and AutoJini make no claim as to accuracy. The customer must verify all accessories and equipment before purchase. Adjustments will not be made after purchase. Prices for this vehicle as equipped do not include charges such as: License, Title, Registration Fees, State or Local Taxes, Finance Charges, Credit Investigation, Optional Credit Insurance, Physical Damage or Liability Insurance or Delivery Fees.